Originally called Courthouse Square, it was renamed in honor of Lafayette's visit to Buffalo in 1825. Once a parklike pedestrian area, it was redesigned in 1912 as a main thoroughfare. 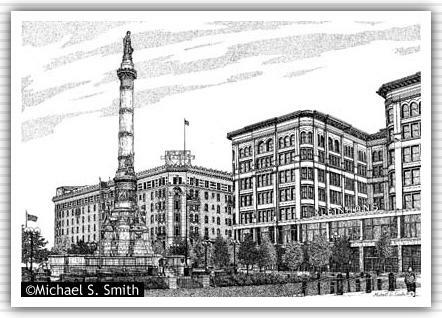 The Civil Was Soldiers and Sailors Monument was Constructed in 1882.